This post is kinda different than my normal posts, but i thought it would be nice to show something like this as well for once. Since i moved into my new room in the hague i was hunting for the perfect orange lamp to match my curtains and pillows. I literally looked at every store and webshop and couldn't find anything that fitted my needs. But the hunt is finally over now! 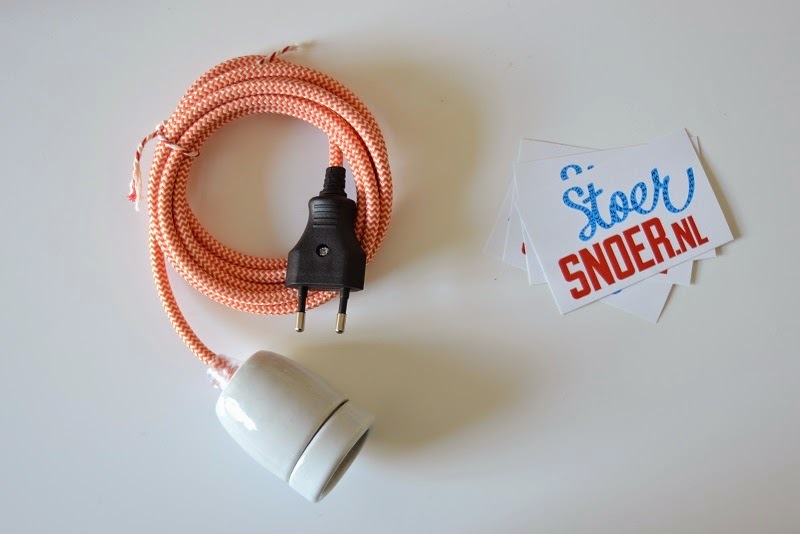 I stumbled upon stoersnoer.nl, where you can design your own lamp (by picking the colour of wire and fittings) to fit your needs. As you can understand i ordered one straight away, and i'm so happy with it! My room is getting more complete every week, and once it's all done i will definitely show it to you! Tof! Is dat handig met een stekker eraan? Ik wil meer kamer zien. Ik wil meer kamer zien, zeg ik je! Haha. 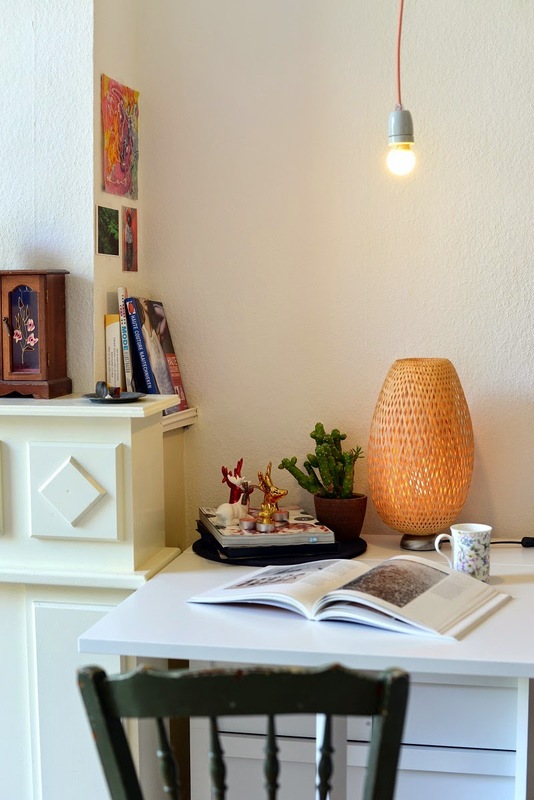 Toffe lamp!! It looks so original! Glad to know that you found what you were looking for. Ik vind ze heel erg leuk. Simpel, maar stylish! love it!!! 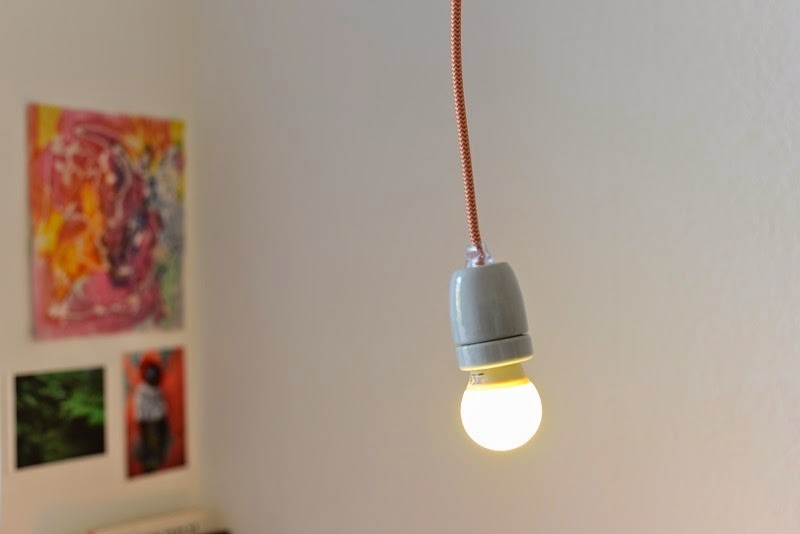 a creative lamp! What a lovely minimal design! I adore this lamp. It has personality and is fun. You decorate quite well, I love your choices and the arrangements of each piece . I do think you have an artists eye!